Located on WV Route 19, North Eisenhower Drive, Sheetz Convenient Store became the anchor store for a 11,600 square feet of new retail development, Eisenhower Commons, in Beckley, WV. 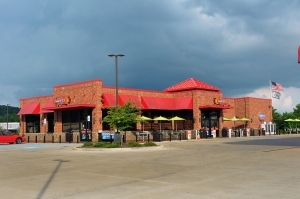 Sheetz opened in January of 2012. Following the completion of Eisenhower Commons in August 2013, Panera Bread, Sun Tan City, Supercuts, and The Nail Boutique opened their doors for business. 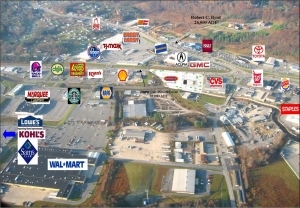 Adjacent to Cranberry Creek Center, anchored by Sheetz.